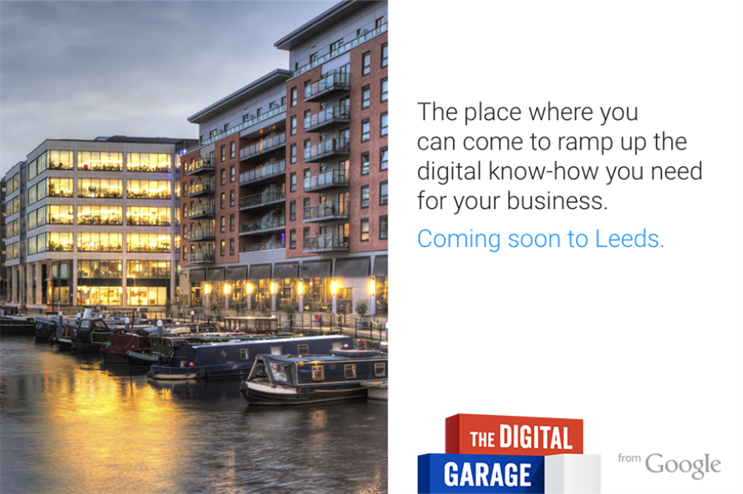 Web giant Google has selected Leeds as the first destination for its Digital Garage, a service that will provide businesses with a 'digital tune-up'. Targeting small- and medium-sized enterprises, the project will open for business on 30 March for six months. It will offer courses, one-to-one mentoring sessions and coding clubs, as well as computer science training for more than 25,000 teachers in Leeds in partnership with Code Club Pro, Computing at Schools and Raspberry Pi. The multi-million pound project was developed following the success of two separate programmes: Getting British Business Online and Google Juice Bars. The garages will be held at pop-up training venues across the UK, as well as online, and aim to train 200,000 businesses in digital skills by 2016. Eileen Naughton, managing director of Google UK and Ireland, said: "Our vision is simple: businesses of all sizes stand to benefit from the transformative power of the digital era. It is Google’s responsibility, as both a catalyst and an engine for growth, to help individual businesses prosper, and the UK economy grow."